Growing advocacy for transparency and access to results of clinical trials has prompted considerable debate on the topic of open access publishing and highlighted a lack of common understanding of what open access is, why it is important, and how it works. 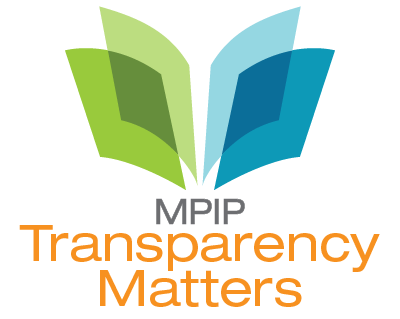 Consistent with our goal of promoting greater transparency in industry-sponsored publications, MPIP has developed this resource to raise awareness of open access, including its importance in meeting shared transparency goals. Open access is based on the principle that research outputs should be freely and immediately available with reuse rights. When considering open access publishing, there are many dimensions that add to the complexity and can contribute to confusion regarding open access. Points to be aware of are outlined in this section. Publications are a critical vehicle for the dissemination of all types of research data, including clinical trial data. Research outputs published on open access terms allow others to access and build upon the work. Depending on funding source, some publishers and journals vary open access options available to authors. Additionally some funders require authors to publish research funded by their organization on open access terms. Publishers face considerable costs in operating and publishing journals and, therefore, high-quality publishing requires significant financial resources. Each publishing model has different ways of generating revenue to cover operating expenses, and will be discussed here. Are open access journals more likely to be “predatory journals”? Predatory publishing, a corruption of the legitimate open access publishing model, involves charging publication fees to authors without providing the editorial, peer review, and publishing services associated with legitimate journals. Predatory publishing has significantly increased in recent years and is a threat to legitimate publishing. Authors must become aware of how to identify and avoid these predatory practices.